Divorce. No one wants to go through it, but at times that seems to be the only option left to move ahead in life. The life after divorce is not easy especially if you are not financially independent or have kids or do not have a family to support. The relationship you thought would last forever has ended. Suddenly, questions like “What next?” “Is there a life after divorce?” “How to start a new life after divorce?” start cropping up in your mind. MomJunction brings you this post on the emotional stages after a divorce, how to rebuild your life and the mistakes to avoid after a divorce. Is there a life after divorce? How does your life change after divorce? Can You Be Happy After Divorce? Yes. There is definitely a life after divorce. It may not be the life you always pictured, but the power to change your life is in your hands. It is ok to feel directionless as you might be immersed in grief right now, but eventually, you will get over this and learn to live a new life sans your spouse. A person is likely to undergo these stages after being separated from their spouse. Denial: You will not be able to accept the fact that you are divorced. You will keep on questioning yourself, “Why had this happened to me?” “What have I done to deserve this?” You will feel helpless that you cannot control your destiny. When your inner self is not able to accept facts, you resort to denial and try to escape from reality. State of shock: The periodic reminders that you are single will repeatedly put you in a state of shock. While going through denial, you will try to get back to normal. You will feel chills running down your spine. 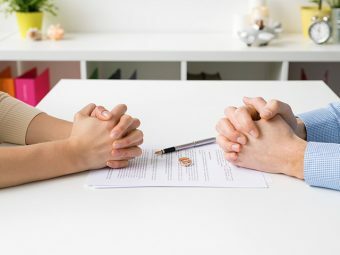 If your spouse was the only person you have ever loved and you dreamed to live happily ever after with them, then a divorce will be the biggest shock of your life. Conflicting heart and mind: Your mind says, “You are better off without them,” “You will definitely find a better life,” you will be happy for a moment, but then the heart says “You loved them,” “You cannot love anyone else like you loved them”. Such conflicts might lead to a breakdown. Desperation and anger: If you miss your partner, you get desperate to get back to them. You hope to see them next to you when you wake up one day. Out of desperation, you might be willing to change or do anything to make things right. But the reality check that your spouse will not come back to you will make you angry. Letting go: After spending days in a dilemma, you will gradually accept that your marriage is over. Your thoughts become clear, and you learn to live without your ex-spouse. You will do something better than thinking about your marriage. Slowly, your career, friends, and hobbies start filling your life. Although the thoughts of your ex flash through your mind, you will be able to get past them. Towards a better life: Once you let go of your ex, you will be hopeful about the future. You will discover your inner strength. You will open up to people and discuss your pain. You will start looking forward to life and plan things for the future. With wisdom acquired, you will look at life with a fresh perspective. 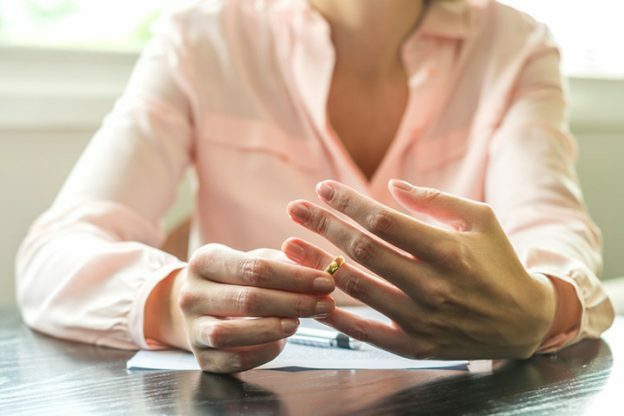 Even as you go through these multiple stages after divorce, you will have to collect yourself and be ready for the changes that come by in your life. Getting divorced is a big change in life. Here is how a divorce can change your life. You are on your own: You will not have your spouse’s support anymore, be it financial or emotional. If you are financially dependent on your spouse, then you need to find a job and take care of your expenses. You may have to do the budgeting and cut down on unnecessary expenditure. You will know who your real friends are: After a divorce, your friends’ circle might shrink because you may not want to socialize like before. Also, such tough times will show you the friends whom you can trust and depend on. People who stuck by you post-divorce will stay with you no matter what. You will focus more on your career: A failed marriage could lead to low self-esteem, and self-confidence. During such times, your work life will become your top priority, you will try to work hard and excel in your career and eventually gain back your lost confidence. 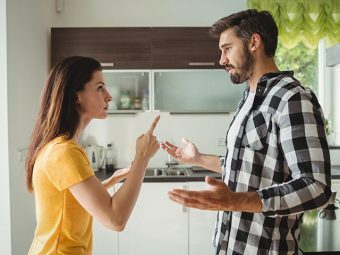 Your family will respect you more than before: It does not mean they did not take you seriously before, but post-divorce they will respect your ideas, support your decisions and try to be extra gentle with you. They might try to convince you to marry again but they will give you time to heal. Your views towards life change: You can divide your life into two parts — before divorce and after divorce. You will no longer be the naive person whose happiness depended on your partner. Instead, you will be practical in life; you will be more open, more patient, sometimes cynical and sometimes philosophical. But overall, you will gain the confidence that if you could go through a divorce and survive, you can face anything in life. You will have to take care of kids: Divorce involving children can be tougher as you have to explain to them the situation and soothe their pain when you yourself do not know how to go on. If the kids are staying with you, then you need to take up the dual role of becoming the mother and father, which can be quite challenging. Get used to being alone: When scared, in doubt, in pain and when you were happy, you had your partner to share. But now you will get used to being alone and introspect. In this process, you will get to know your strengths and weaknesses, and find your interests and hobbies. You will go through an emotional upheaval after divorce, and would not know if happiness will ever come back into your life. Whether to be happy or not depends on you. To ponder in the past and feel sorry or to move on and be happy, the choice is in your hands. Sure, the journey after divorce will be difficult, but it is not the end. You can let the sadness swallow you or rise from the ashes like a Phoenix. You will be depressed and hopeless but in times like these, you have to remind yourself that the relationship once you thought was your everything, is no longer a part of your life. Only then will you be able to move forward and find happiness. To be happy, you have to start focusing on the good parts of your life such as career, kids or a hobby. Here are a few ways to make your post-divorce life better. Take time to grieve: Court proceedings, shuffling kids, adjusting to a new lifestyle, taking care of finances… the life after divorce can be pretty busy. Amidst all this, you might be neglecting your feelings. Once in a while, pause and grieve the loss of the relationship. This helps in releasing emotional tension. You cannot expect to be alright overnight: Healing post-divorce can take years, do not force yourself to be happy. It is ok if you feel like staying in bed all day or crying out loud. Maintain a journal: As a teenager, you might have had the habit of writing down your feelings. It is time to revive that habit. Journaling could help you gain control over your emotions and improve your mental health (1) Whenever you feel scared and doubtful of the future, write down your feelings. This is also a way to keep track of your healing and stay motivated. Keep friends and family close: After a divorce, you might not be a happy person to be around, but this does not mean you lock yourself in a room. This is when you will need your friends and family the most. With their support, you can get your life back on track. They will also prevent you from doing crazy things like getting addicted, calling your ex, stalking your ex’s lover and lashing out online. Also, try to make new friends who will help you stay away from negativity. Take it slow: If you just got out of a long-term relationship, then being single will be new to you. You might make mistakes such as picking up a wrong job or messing up things at home. Do not get depressed with such happenings but take them as a learning experience. These minor setbacks teach you how to handle life. Focus on finances: You might have been dependent on your spouse for financial support. Now, it is time to work on your career and build a steady source of money. Take financial advice from friends and family and start earning and managing. If you have kids, plan and secure their future. Happy to be single: The first rule of being happy after divorce is to accept and love being single. Your friends and family will be able to support you for some time but it is you who have to get going in life. After you are strong enough, move-out and get a place of your own, take charge of your life and learn to do things alone. Seek professional help: If you are unable to find the answers all by yourself, take some professional help. Go for therapy as they will guide you to restart your life. Therapy will help you realize your self-worth and help you to start liking yourself. Like yourself: Do not let one mishap define the rest of your life. You might be at the risk of self-rejection as you blame yourself for the unfortunate event. Work on your self- confidence by thinking about your carefree life before you met your ex. Pamper yourself with new clothes, give yourself a new look, and try to make new friends. Design a whole new life: You will have the freedom to build your life on your terms. Chase your dreams that were otherwise compromised because of your relationship. Pick up a hobby which you could not pursue because your spouse was not into it. For example, if you suppressed your urge to travel because your spouse was a homebody, then now is the time to pack your bags and explore the world. But be careful not to use it as an excuse to run away from responsibilities. Introspect and change: It is good to love yourself but you should also be aware of your shortcomings. Take time and think about what you can change in yourself or how different you want your life to be. Take steps towards it. Also, when change is coming naturally, do not oppose it. Physical changes such as a makeover or a wardrobe change can help you. Instead of repenting over what is lost, look for what you can gain. It is hard to be positive when all your dreams have shattered. But hope for something better, and your life will become easier. Above all, resist the temptation to make mistakes. People tend to commit certain mistakes out of grief or anger. Here are five mistakes to avoid after getting divorced. Making permanent changes: While it is good to get a new haircut or hit the gym, do not make any eternal changes to your body such as piercing or tattooing. If you take such decisions out of anger and frustration, you might regret them later. Also, do not resort to mindless spending trying to fill the void in your life with worldly things. Stalking your ex: Do not go snooping around your ex. This will only pull you into the past and make you feel more miserable. It is natural to be curious to know how their life is post-divorce but resist the urge. Do not talk to common friends about them; instead, focus on yourself and try to be the best person you can be. 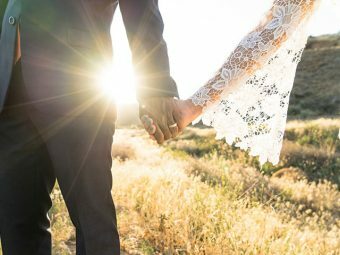 Getting into another relationship too soon: Being divorced does not mean you have to remain single forever. But it also does not mean you start dating the next person you spot. You might crave for intimacy and attention, but without completely getting over your ex, it is not advisable to get into another relationship. Wait until you are ready for a new relationship, and are clear about what you want from the next partner. Bad mouthing your ex: They might have cheated on you or abused you but that is a thing of the past now. Talking about it will only prevent you from moving forward. Make peace with all the negative feelings on your ex and try to forgive and move on. If someone brings your ex’s topic, show maturity and politely change the subject. Searching for ways to take revenge: Suppressed anger can make you resentful and want to take revenge on your ex. It is ok to have negative feelings towards them but do not think of taking revenge. This will further damage your life. Life after divorce is not going to be easy, but you must not let it define the rest of your life. Try to look for positives and have faith in yourself. Eventually, wounds heal and this will only remain as a speck in your memory. Until then stay strong and fight against all the odds. Always remember, after a hurricane comes a rainbow. What is your take on life after divorce? Let us know in the comments section below.